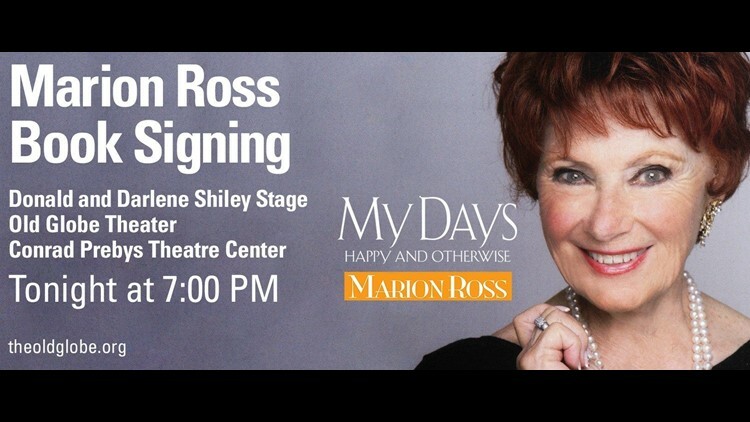 Many viewers may know actress Marion Ross best for her role as "Mrs. C." in the hit series "Happy Days." SAN DIEGO (NEWS 8) — Many viewers may know actress Marion Ross best for her role as "Mrs. C." in the hit series "Happy Days." In Marion's new memoir "My Days: Happy and Otherwise," she takes readers behind the scenes and shares with us what life was like both on and off the set. Marion will be signing copies of her book at the Old Globe Theatre on Monday night.